A native of the United Kingdom, J. Adrian Cook began his career as an apprentice with one of the largest pipe organ builders in the country. He completed his apprenticeship in 1979. 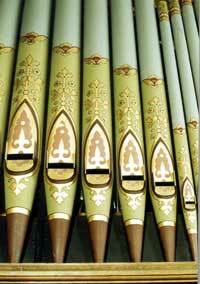 During the time of his training, he worked on many large and historic instruments, including the organs of Ripon and Durham Cathedrals, Studley Royal Chapel, Clumber Park Chapel [the private home of the Duke of Newcastle], as well as many other fine organs throughout the northeast of England. 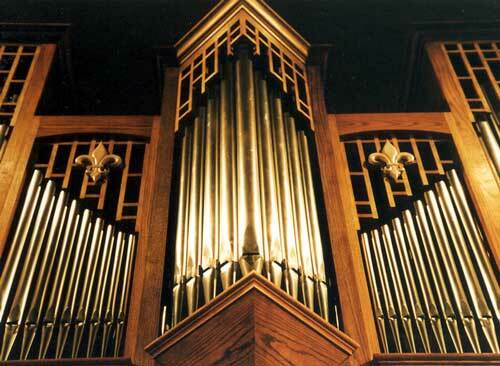 In 1981, Mr. Cook established his own company called J. Adrian Cook Pipe Organ Builders, specializing in the restoration of historic instruments, tuning and maintenance, action design [suspended tracker action], designing winding systems for special circumstances, and worked closely with the authorities of many churches on their own special needs. 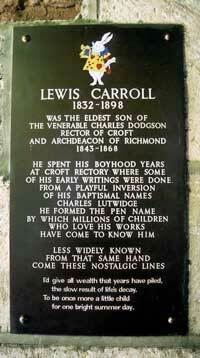 In 1986, the company was awarded the contract to rebuild the famous Foster and Andrews tracker organ located in the Church of St. Peter Croft, where, incidentally, Lewis Carroll did most of his early work, including "Alice in Wonderland".